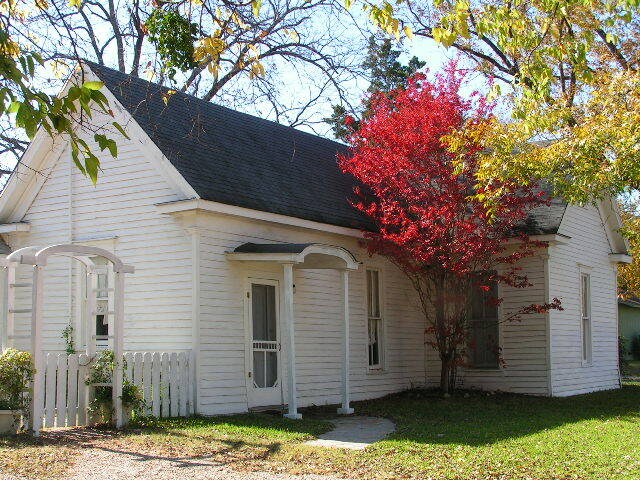 Our Newest location, across from the Main House has been fully restored to accommodate guests wanting ground floor rooms or those traveling with young children. It is perfect for families, yet can accommodate couples. Each of the rooms has a separate entrance, or the entire house can be rented for a family gathering for $290 per night or $280 per night for two nights ( maximum 6 persons, each additional person $10 ea.). 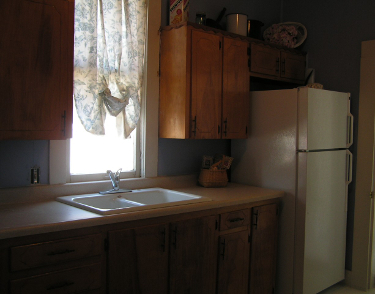 The Kitchen includes a microwave, coffeemakers, teas, cookie jar and the fridge is stocked with milk, and juice, for your enjoyment. 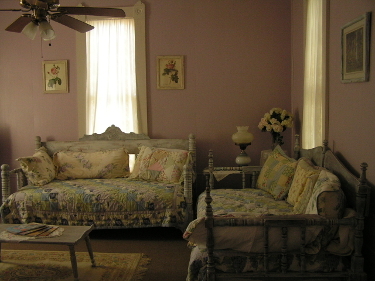 The entire house has a Country Casual feel and is perfect for family, friends or business travelers. Cookies are always in the canister and fresh muffins or pastries are brought in the morning. 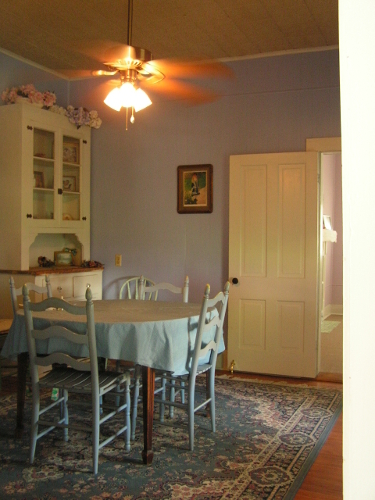 The Dining Room has a table and chairs along with area brochures, restaurant menus and general information of the house and area activities. A selection of movies is kept here for your viewing. 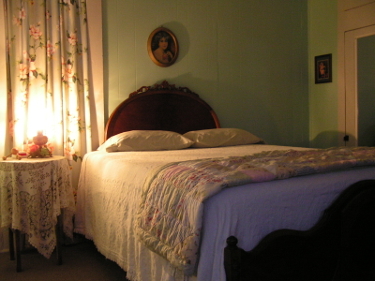 The Green Room is located on the ground floor with an Antique Queen sized bed. There is a shower in the private bath. The room has cable t.v., vcr, alarm clock and a sitting area. There is access to a community kitchen . Cost is $109.00 + tax for two (additional persons $10 ea.) Continental Breakfast is included. 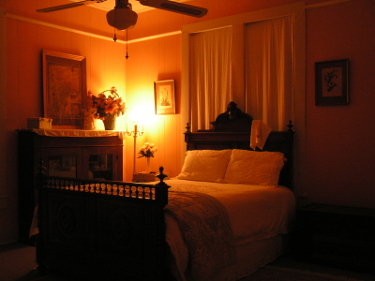 has an Antique Queen sized Bed, a Private Bathroom with a walk-in shower, cable t.v., vcr, and alarm. The room is located on the ground floor and has access to a community kitchen and dining room. $109.00 + tax per night for two (additional people $10 ea) includes Continental Breakfast. 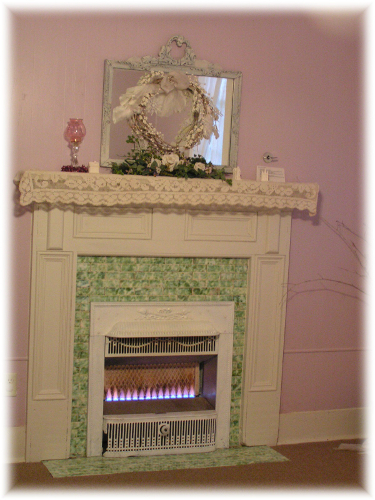 has two custom-built Day Beds, cable t.v.,dvd/vcr, alarm and fireplace. The shared Bath with the Peach Room, has a walk-in shower. The room is located on the ground floor and has access to the community kitchen and dining room. Children are welcome at this location. 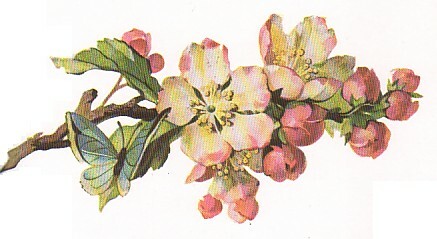 Cost is $99.00 + tax per night or for two additional people with the Peach Room $90.00 + tax, includes Continental Breakfast.